The CVRC brings together over 130 researchers, physicians and educators to focus on ways to prevent and treat cardiac problems. These investigators represent more than 30 specialties–from genetics to pharmacology and preventive cardiology to cardiovascular surgery. They attack cardiovascular problems through basic research, clinical investigation, diagnosis, treatment and public education. If you have questions, please contact them. The McPherson Eye Research Institute (MERI) at the University of Wisconsin-Madison was founded by Drs. Daniel M. Albert and Alice McPherson in 2005 to bring under one umbrella the extraordinary diversity and strength of vision research at UW-Madison. Named in honor of pioneering retinal surgeon and University of Wisconsin-Madison School of Medicine and Public Health graduate Dr. Alice McPherson, the McPherson ERI has quickly become one of the world’s foremost multi-disciplinary vision research centers, with members in 35 UW-Madison departments and affiliated non-UW institutions. Through basic and clinical science research of the eye and visual system, our researchers have made significant advances in vision science and related fields. The Laboratory for Optical and Computational Instrumentation is a biophotonics instrumentation laboratory stemming from the research activities of its director and founder Kevin Eliceiri and LOCI collaborators. Our mission is to develop advanced optical and computational techniques for imaging and experimentally manipulating living specimens. New and improved imaging instrumentation and optical-based experimental techniques are being developed. These projects are driven by demands arising from the scientific studies of external collaborators and the principal investigators and opportunities that arise with the emergence of new technology. Instrumentation development is undertaken in a form that is both accessible and beneficial to the scientific community. LOCI is directed by Kevin Eliceiri, and all inquiries about LOCI collaborations or general imaging questions may be directed to him. 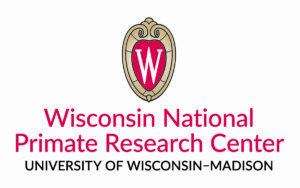 The goal of the University of Wisconsin Institute for Clinical and Translational Research (UW ICTR) is to create an environment that transforms research into a continuum from investigation through discovery and to translation into real-life community practice, thereby linking even the most basic research to practical improvements in human health. Through the interdisciplinary nature of the ICTR (Schools of Medicine and Public Health, Nursing, Veterinary Medicine, Pharmacy) and the College of Engineering, the mission is to change the UW culture from “silos” to collaborations among ICTR members and within the entire university. With this UW team and ICTR’s northern partner Marshfield Clinic, our Institute expects major advancements in clinical and translational research. Learn more about ICTR here. Waisman Biomanufacturing has in-depth experience in manufacturing a wide range of biotherapeutics and vaccines for human clinical trials including gene therapies, cell therapeutics, and both therapeutic and prophylactic vaccines. Waisman has developed platform manufacturing processes and analytical methods to support clinical production of several classes of products including plasmid DNA, Mesenchymal Stromal Cells (MSCs), human Embryonic Stem Cells (hESCs), induced Pluripotent Stem Cells (iPSCs), adenoviral vectors, and lentiviral vectors. In addition, Waisman has supported the development and clinical production of a number of novel types of biotherapeutics from process development through to aseptic fill and finish. With a broad range of experience in product development and clinical production, Waisman has the insight and expertise to identify and address key issues as they work with you to produce your clinical trial material. Waisman also offers full support for your IND filing by providing QA audited batch records and support for your Investigational New Drug (IND) filing including Chemistry, Manufacturing, and Control (CMC) support and access to the Waisman Biomanufacturing Type V Facility Master File. The WNPRC is based in the Office of the Vice Chancellor for Research and Graduate Education at the University of Wisconsin-Madison. The center has strong research and teaching links to the UW-Madison Schools or Colleges of Medicine and Public Health, Letters and Science, Agriculture and Life Sciences, and Veterinary Medicine. The center is AAALAC accredited and its policies adhere to the U.S. Government Principles for the Utilization and Care of Vertebrate Animals Used in Testing, Research, and Training. The WNPRC has approximately 175 employees and serves more than 200 scientists and clinicians from around the world who conduct research in primate biology with relevance to human and animal health.